This campaign ended on May 06, 2018, but you can still make a gift to University of Indianapolis by clicking here! When you get another classmate to make a gift to the Senior Class Gift, you will receive a UIndy Alumni Decal for your car! Be sure to sign up as an "Advocate" to track your progress! As an Advocate, when you get three people to make a gift to the Senior Class Gift, you will receive a UIndy Alumni pin. Receive a UIndy Alumni Mug when you sign up as an Advocate and help generate 5 gifts to the Senior Class Gift. Get a UIndy T-shirt when you sign up as an Advocate and generate 10 gifts to the Senior Class Gift. Make a gift of $20.18 and get a UIndy blanket to use during Picnic with the Prez during Senior Week! Class of 2018, what is your passion? Ever since the University was founded in 1902, one thing hasn't changed—the importance of serving others and making a difference in our communities. As a non-profit organization, the University's mission is to prepare graduates (like us!) to go out and make the world a better place! Thousands of alumni supported our education, now it's our chance to make a difference for UIndy! A gift of $20.18 is the suggested gift amount for Seniors and will allow you to receive a special UIndy Blanket. However, gifts of all amounts are welcome and will help continue the tradition of giving back. You can make your gift to your favorite academic program, student organization, and much more. Additionally, you can make your gift in honor of any Faculty or Staff member who has made a difference in your time here at UIndy. Join in by making a gift, and graduate knowing that you made a difference! Don't miss Senior Week events! 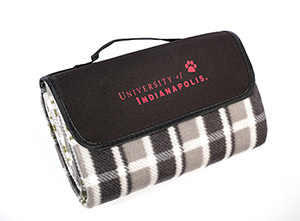 *The Fair Market Value of the UIndy blanket is $9 and will be deducted from the tax-deductible portion of your gift. If you choose not to receive the blanket, your full gift amount will be tax-deductible.